Ria Loves Pawlish: Ulta Deal Alert!! Sept. 10, 2012... Buy 1 Butter London Get 1 FREE! Ulta Deal Alert!! 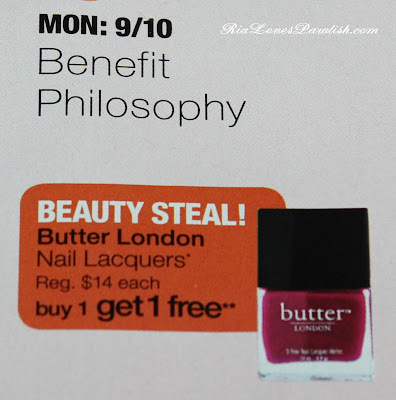 Sept. 10, 2012... Buy 1 Butter London Get 1 FREE! i couldn't believe it when i heard about this deal... buy one Butter London get one free?! but sure enough, i got my Ulta mailer and there it was! i wanted to share it with you all right away so you can mark your calendars for September 10, 2012 :D i'm super excited because i've never tried Butter London before... looking forward to reviewing a couple of those bad boys! the deal is part of their 21 Days of Beauty... they have a new set of deals every day! 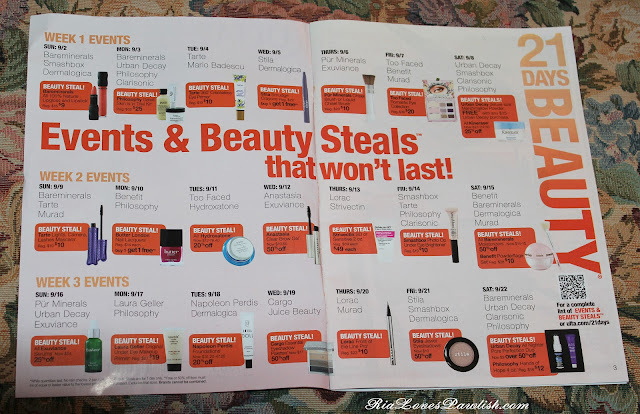 this is the ad from the flyer with all the details... check out the info on Ulta's website at http://www.ulta.com/21daysofbeauty/!